MAGICian consists of two groups. 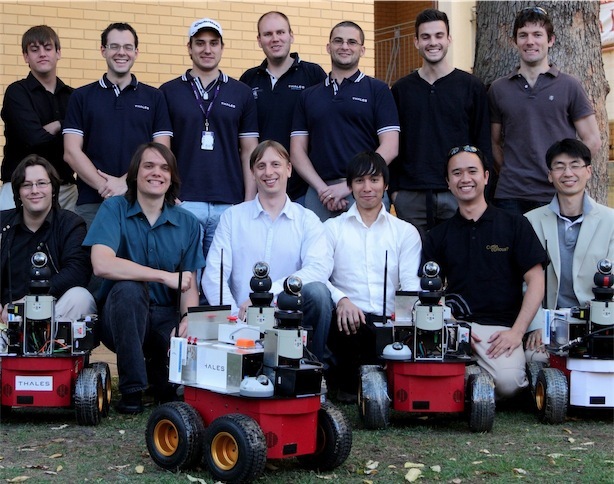 One based in Western Australia (Edith Cowan University, Illiarc, Thales Australia, and the University of Western Australia) and another from South Australia (Flinders University). 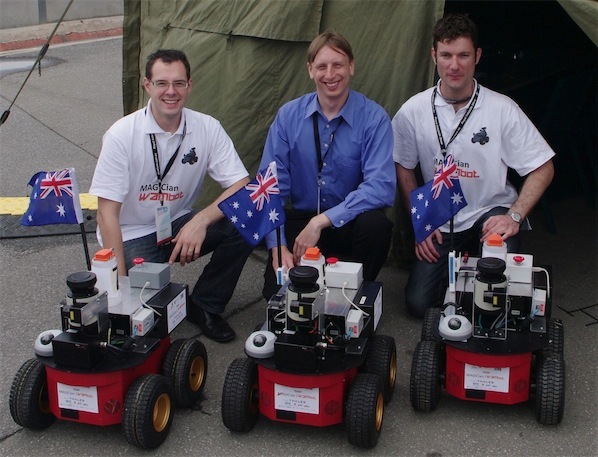 The Western Australian part of Team MAGICian developed the WAMbot robots that entered the MAGIC 2010 finals. The WAMbot team consisted primarily of students and volanteers who offered their time in the evenings and weekends to contribute to our success. (Photo shows some members of June team at the Outdoor June TAP - Left to Right: Michael Fazio, Nicolas Garel, Sushil Pangeni, Aidan Morgan, Frank Ophelders, Adrian Boeing, Michael Hewett, Thomas Braunl, Stephen Whitely, Kenneth Treharne) (Photo shows some members of team in October. Top row, Left to Right: Brian Frisch, Frank Ophelders, Michael Fazio, Anthony Attwood, Adam Gandossi, Nicolas Garel, Robert Reid.